Shih-Fu Chang has advanced the state of the art of automated search and classification of digital image and video content. His ground-breaking search paradigms and prototypes allow users to harness the visual search problem by content-based image matching, searching videos by a very large pool of semantic concepts and summarizing event patterns from multiple sources. Dr. Chang and his group developed some of the first visual-object search systems in 1996—VisualSEEk (one of the most influential works on content-based image retrieval), WebSEEk (considered the first online Web image search engine) and recently CuZero (with innovative real-time video navigation capabilities). Applications of these technologies can be found in next-generation Web search engines and content management systems for the news, media, government, biomedical and consumer media domains. 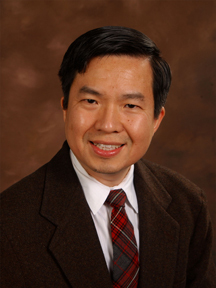 An IEEE Fellow, Dr. Chang is Professor and Chairman of Electrical Engineering and Director of Digital Video and Multimedia Lab at Columbia University. Dr. Chang has recently expanded his research to study the use patterns of visual content on Internet and their impact on online information flow. This page was last edited on 26 February 2016, at 18:55.